Mobile marketing can be hugely powerful and positive if it offers value to consumer experiences and their path to purchase. But, when marketers employs annoying techniques users feel irritated. It’s critical to understand consumers’ likes and preferences as they access information, entertainment and commerce on their mobile devices. 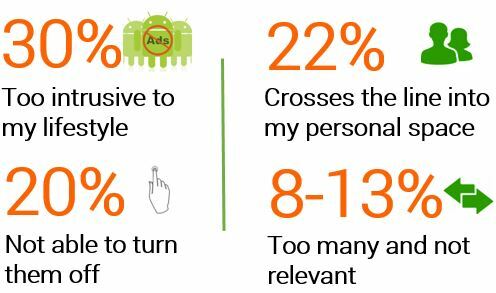 Though there is an expectation for relevant and personalized information discovery on mobile, there are times when users are not so happy about brands and personalized messages following them where they go. Mobile marketing is about engaging customers through positive interactions that increases likability and loyalty in the long run. Understanding consumers’ likes and dislikes can strengthen this relationship and encourage a stronger brand-consumer connect. Consumers want to avoid invasive marketing messages and do not want to be interrupted during their activities on a mobile device. Without consideration for consumer preferences, mobile marketing or advertising messaging will be rejected by the users. 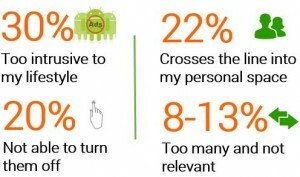 A 2014 report on Chinese mobile users by PWC says “52% users associated mobile advertising as an invasion into personal space citing “too intrusive to my lifestyle” and “crossing the line into my personal space”. 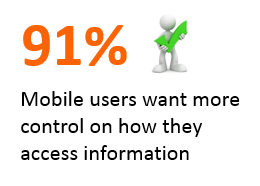 Mobile devices are personal devices where users expect content to be tailored to their interest and what’s more they want more control on how and when to access information. 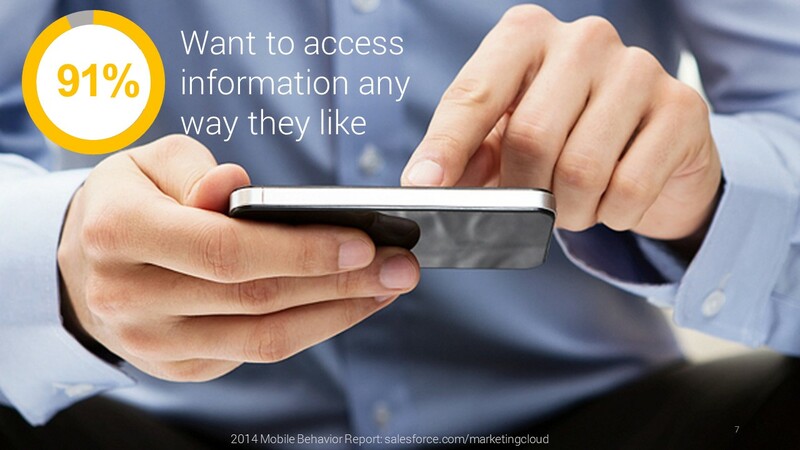 According to Salesforce/MarketingCloud Mobile Behavior Report 2014, 91% of consumers say access to content any way they want is important to them. The future of successful mobile interactions is most definitely non-intrusive and more user-initiated. And users are glad to access-information-mobile know that there are better options out there that’s letting them discover relevant content, services and awesome deals as and when they want. And the brands can connect with consumers in a positive and hyper-contextual way. Get to know – Xploree! With Xploree Search and Discovery platform, brands and services have a unique and likable way to connect with users. Xploree has the ability to reach consumers across all apps, across social media, chat messengers, m-commerce, search etc. With an opportunity to provide millions of mobile users with what they need, we are enabling relevant and faster brand-user connectivity in the mobile moment. Xploree recommends the right content, at the right time to the right users, without intrusion and/or disruption to user activities on their mobile devices. The emphasis is on providing the user a delightful and positive user experience to discover content, service, offers or premium deals even before they search for them. We wish our users many many #HappyMobileMoments!